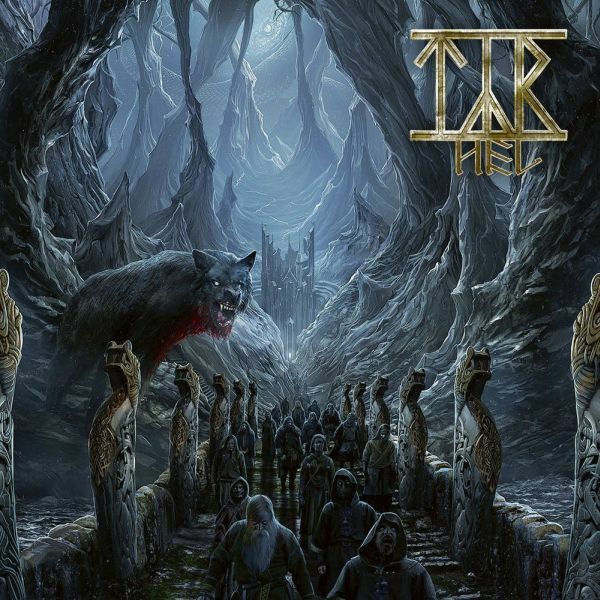 TYR - HEL | Releases | Wizard LTD.
With Hel, the Faroe Islands&apos; Týr provide even more irrefutable evidence that they stand at the vanguard of Scandinavian metal. Their eighth full-length is a collection of ruthlessly melodic and irresistibly compelling progressive folk metal that will immediately resonate with any who have followed the band at any point over the two decades of their storied career. Conceptually, the album is informed by a combination of mythology, personal experience and observations of current international events, making for a multifaceted experience that can be processed and understood on many levels. Starting not with a specific story to tell but with an atmosphere in mind, Joensen prefers not to disclose too much detail when it comes to lyrics, keen for listeners to have a chance to take what they want from the songs, though he provides a basic description of that which inspired him. "Hel is the realm of death in Norse mythology, the underworld where those who die a natural death, not in battle, go. A bit confusingly, it is also the name of the goddess who rules over the same realm. She&apos;s the daughter of Loki and a terrifying creature to look upon." Two of the songs - "Ragnars Kvæõi" and "Álvur Kongur" - are traditional Faroese ballads and are as such sung in Joensen&apos;s native tongue.